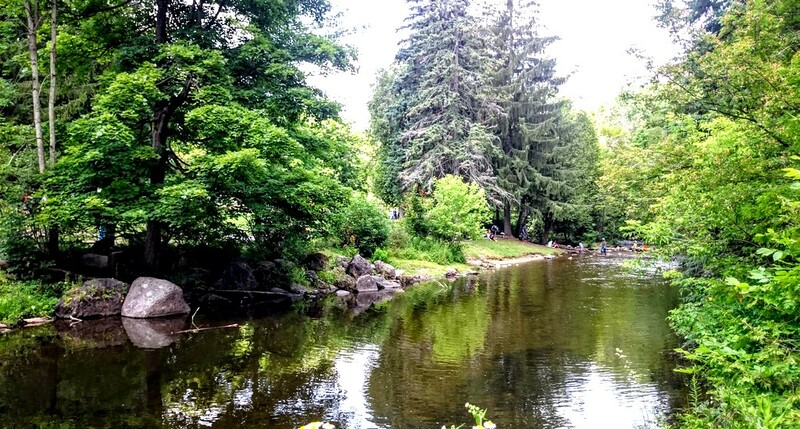 Join us for a day of inner contemplation, peace and solitude and getting close to nature while touring beautiful Dufferin County, northwest of Toronto. 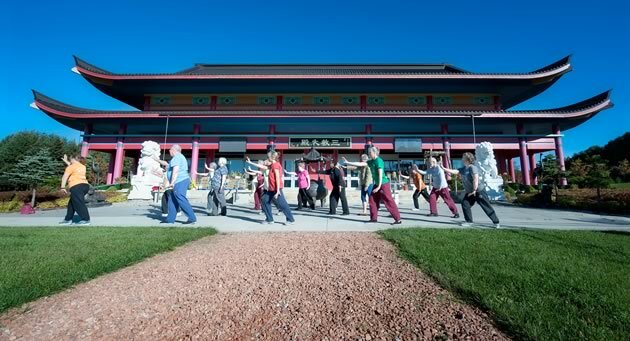 We start our day with a guided tour of the stunning Taoist International Centre in Mono, Ontario followed by lunch and a one hour lesson on Taoist Tai Chi® arts. We spend the afternoon at the equally beautiful Belfountain Conservation Area for a chance to relax along the banks of the Credit River or stroll the gentle trails that lead you past a waterfall, the famous fountain in "Belfountain", a pedestrian suspension bridge above the rapids and some lovely photo opportunities. Round trip transportation on deluxe highway motor coach with a bathroom on the bus. Admission to the Taoist International Centre in Mono, Ontario included. Lunch at the International Centre included. Vegetarian and gluten-free options available. One hour Taoist Tai Chi® arts lesson included. Admission to the Belfountain Conservation Area included. Afternoon break with water, pop and juices at Belfountain Conservation Area included. To book online, click on the Reserve A Seat button above. 10:00 AM - York Mills Subway Station, Toronto. We return to the Toronto area at approximately 6:30 PM. Children 10 and older are welcome on this trip. Price is the same as adults. 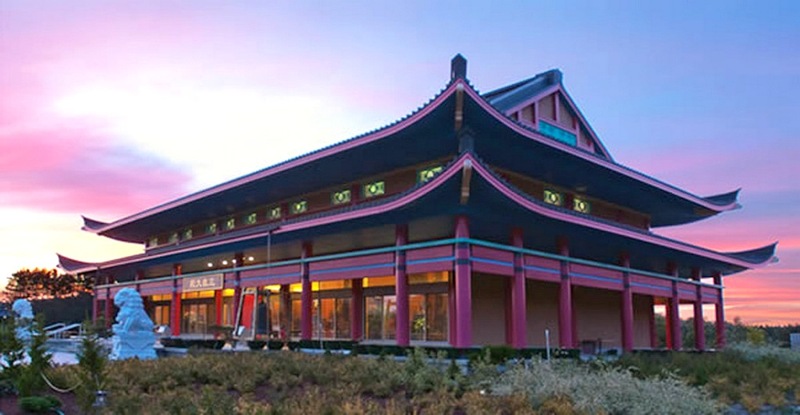 The International Centre, established in 1984, is devoted to the advancement of Taoist training through its various programs. 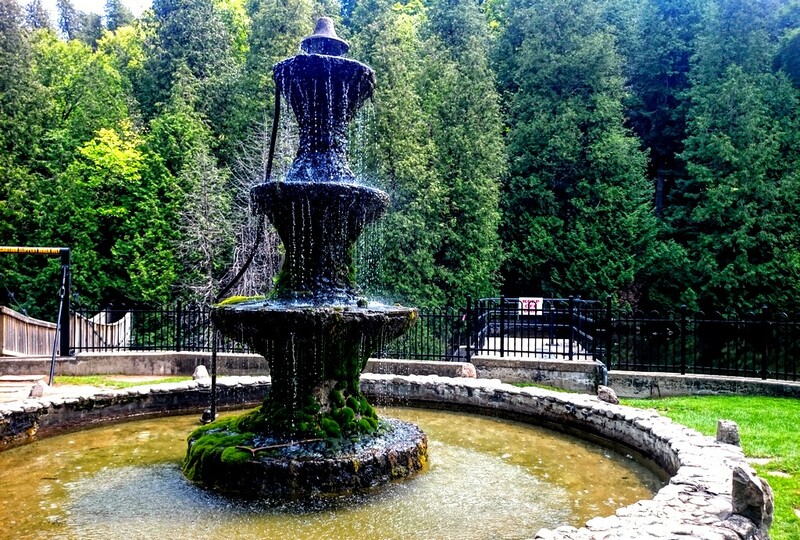 Located on 100 acres in Mono, Ontario and set in the beautiful landscape of the Niagara Escarpment, the Centre offers large practice halls and temples, as well as rooms and service areas for program participants. We will be getting a guided tour of the centre, enjoying lunch in their dining hall and then getting a group lesson in Taoist Tai Chi® arts. Close to the picturesque village of Belfountain, this site once belonged to Charles Mack, the inventor of the cushion-back rubber stamp. Mack and his wife Addie purchased the property in 1908, where he developed his version of a miniature Niagara Falls. 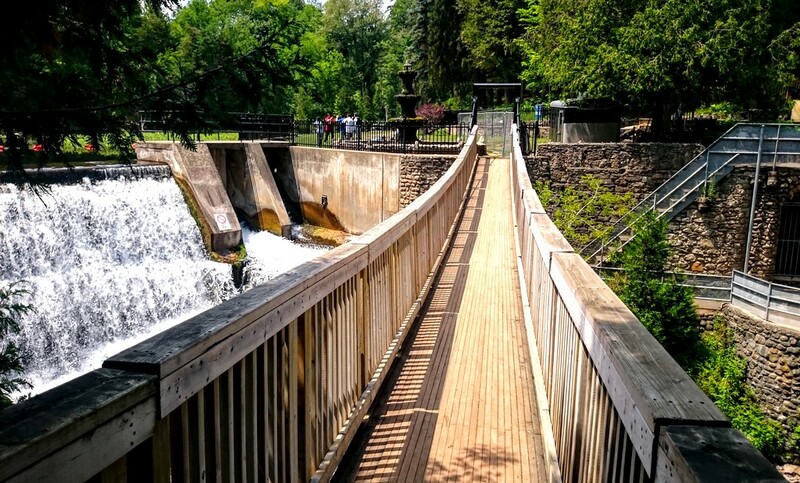 Mr. Mack had a suspension bridge built downstream from the dam and created a fountain topped with a bell honouring the town. He also added stonewalls, footpaths, scenic lookouts and a guesthouse. The couple lived in a small house deep in the park. There is plenty to see and do at Belfountain. 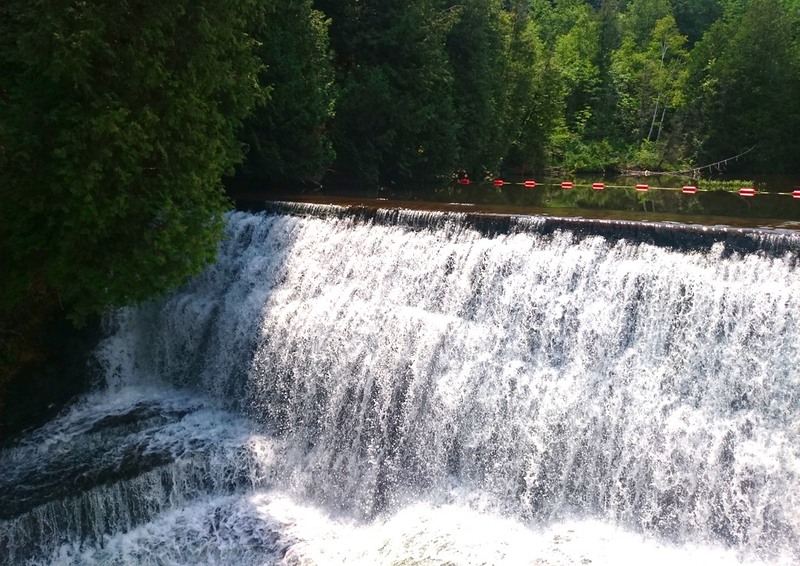 We will be having a break here by the side of the Credit River and for those who feel inclined, a nature trail spans the river gorge using a suspension bridge and then winds along the steep sides of the Escarpment requiring steady feet and approximately 30 minutes to walk.